The car is loaded and my little sister is ready for her 400 mile trip trip to California. My dad limps out of the house lugging a 30lb emergency car battery that visibly weighs down the car’s chassis as he swings it into the backseat. My sister rolls her eyes at the unwelcome eyesore. Whether you’re driving across the country or across town, it’s never a bad idea to keep an extra power source in your car. The ability to jumpstart your car, and perhaps more significantly, your phone, is a necessity. Thankfully, the technology is getting more compact. The Bestek emergency jump starter is smaller than a 12oz bottle of water. 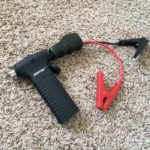 Even better, if you have the Bestek 400A Jump Starter, you have a backup car battery, a flashlight, and a car window escape hammer for emergencies all at your disposal. With a full battery, it can jumpstart a car 10-15 times or completely recharge a smartphone 10-12 times. 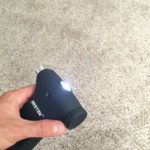 The Bestek battery can be recharged in about 5 hours from a wall or from a car charger. And the entire setup can fit inside your glove box so that you can be prepared for the unexpected without looking like you’re preparing for the apocalypse. The Bestek unit is priced more competitively than most units, at just $60. Most units in that price range are strictly batteries and do not include a flashlight, let alone an escape hammer. Bestek realized that most emergency kits will have each of these things, so putting them together makes for a versatile unit that takes up less space. 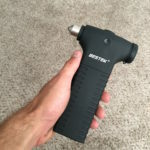 Instead of requiring four different pieces of equipment, the Bestek combines your phone charger, jumper cables, escape hammer, and flashlight all in one hand-held device. The drawbacks to the Bestek jump starter are minimal. As a hammer, it is slightly less ergonomic than you may want – the wide handle (which is also the battery) can make it a bit difficult to hold – but in most circumstances, the hammer function is not the primary use. It is also worth noting that the setup is not all one piece. 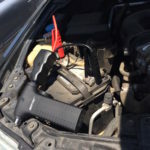 The jumper cables are attached to a converter that is about the size of a salt shaker and needs to be plugged in before use. Still, this setup can be kept in the trunk or elsewhere, while the hammer/batter half can stay in the glovebox. Overall, the device is not missing much. 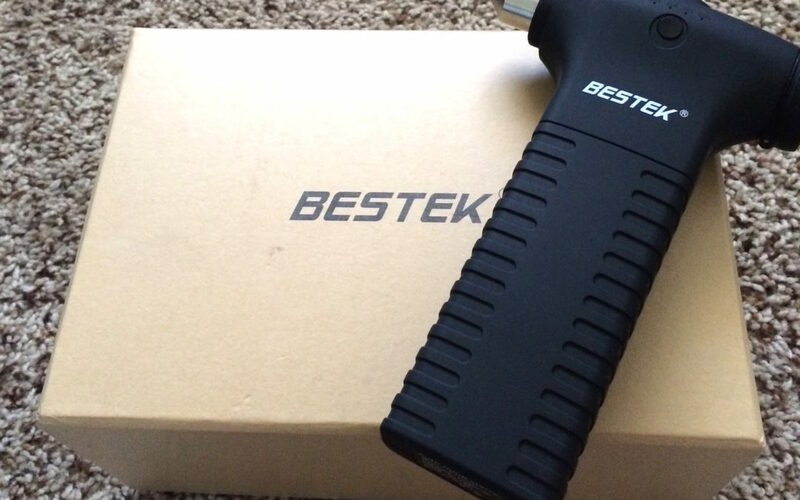 Most significantly, the Bestek jump starter is nearly indestructible. Admittedly, the first time I used mine I accidentally dropped it on pavement from chest height (this is why I can’t have nice things). It barely sustained a scratch. The strongest selling point may not be the fact that the hammer is on the battery, but the fact the battery is durable enough to be a hammer. How much better do you feel about the durability factor of any tech purchase when its second function is so industrial? 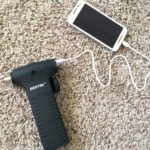 I would be the first to buy any iPhone case that can also smash a car window, so the Bestek jump starter is an obvious choice in terms of durability. Overall, if you’re in the market for a competitively priced emergency jump-starter, the Bestek 400A Jump Starter will suit your needs, and provide other life-saving features in one neat, durable package.